A new publication in Science reveals the world is losing 50 soccer fields’ worth of forest every minute of every day! While this information is distressing, the publication of this new research is a decidedly positive development in the availability of data to support better forest management and policy. The Science paper provides the first high-resolution, global picture of annual forest cover change over the period 2000 to 2012, with the promise of timely annual updates starting in early 2014. Prior to this research, the world lacked up-to-date, globally consistent forest data– most information about forests is years out-of-date by the time it finds its way into policymakers’ hands. More than one billion poor people depend on forests for their livelihoods, while we all depend on these ecosystems as a central part of the global carbon, water, and climate systems. Losing 2.3 million square kilometers of forest in just 13 years, as the new research shows, is therefore of great concern. This translates to 50 soccer fields’ worth of forests every minute of every day over the last 13 years . This includes losses due to fires and pests, as well as forests that were cleared for forestry operations, some of which are replanted or will regenerate naturally. Plus, forest loss in the tropics is increasing by about two thousand square kilometers each year. Tropical forests are those most valuable to the poor, store the most carbon, and are home to more biodiversity than almost any other type of forest on Earth. Nonetheless, recent changes in Brazil’s Forest Code, are concerning, and in the past year, there has been a significant uptick in the country’s rate of forest loss. It’s important that Brazil continue its tremendous efforts to address the direct and underlying drivers of forest loss—both to reduce its own deforestation and to act as a model for other countries. Indonesia in particular might learn from Brazil’s experience. The new research shows that rates of forest loss in Indonesia have steadily increased. Even though Indonesia is only one-quarter the size of Brazil, the two countries are now losing almost the same amount of forest each year. Indonesia, like most countries, lacks readily available, up-to-date information about the state of its forests. Plus, it has not aligned financial incentives with efforts to reduce forest loss. Recent progress has been made with Indonesia’s forest moratorium, which prevents new licenses to clear primary forest, but it suffers enforcement challenges. It’s too early to tell if the moratorium has actually reduced forest loss. Much more could also be done to curb forest loss in Indonesia by transitioning agricultural operations to already-cleared or degraded lands. In early 2014, a new partnership convened by World Resources Institute, including the partners that made today’s publication possible – University of Maryland, Google, USGS and NASA – will launch Global Forest Watch. Other partner include UNEP, ESRI, Center for Global Development, Norway, the United States, the Global Environment Facility, Imazon, Jane Goodall Institute, NASA Ames Research Center, Transparent World, Scanex, Global Forest Watch Canada and OSFAC. This ambitious partnership aims to make near-real-time, high-resolution data about forests everywhere available to everyone for free. It also will enable thousands of groups to share their own information through innovative crowdsourcing tools. Brazil and Indonesia still account for about half of all tropical forest loss. But in percentage terms, a number of other countries are losing their forests faster. These other countries have received far less attention than the large, tropical forest countries, but will require significant technical and financial support to reduce their deforestation rates. The analysis published today coincides with the annual international climate negotiations (COP 19). 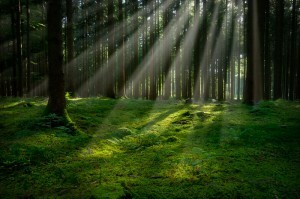 Human-caused forest loss is responsible for about 10 percent of global greenhouse gas emissions. In other words, reducing greenhouse gas emissions also depends on reducing forest loss. The new analysis shows that global forest trends are working against efforts to address climate change, and that for some major emerging economies, such as Indonesia and Brazil, forest loss is likely to continue to be the primary source of emissions. At the same time, forests and land use change actually have the potential to sequester rather than emit greenhouse gases. Initiatives like the Global Partnership on Forest Landscape Restoration and the Bonn Challenge are taking early steps to build a global “re-greening” movement, restoring productivity to deforested and degraded lands. We expect these and related efforts to gain far more attention in the near future, and encourage policymakers to embrace the re-greening movement. High-quality, independently produced, credible, up-to-date data—shared in ways that policymakers, companies, civil society, and local communities can understand and act upon—is vital for improving forest management worldwide. The new, high-resolution maps published today show that this kind of information-sharing is now possible, thanks to advances in remote sensing science and cloud computing. Let’s turn this better data into better decisions.